If you’re considering building a deck for your Brisbane home, one of the decisions you’ll need to make is what timber to use, particularly for the decking boards. As your new Brisbane deck is likely to face harsh exposure from the elements, it’s an important decision that needs to take into account your needs and budget. 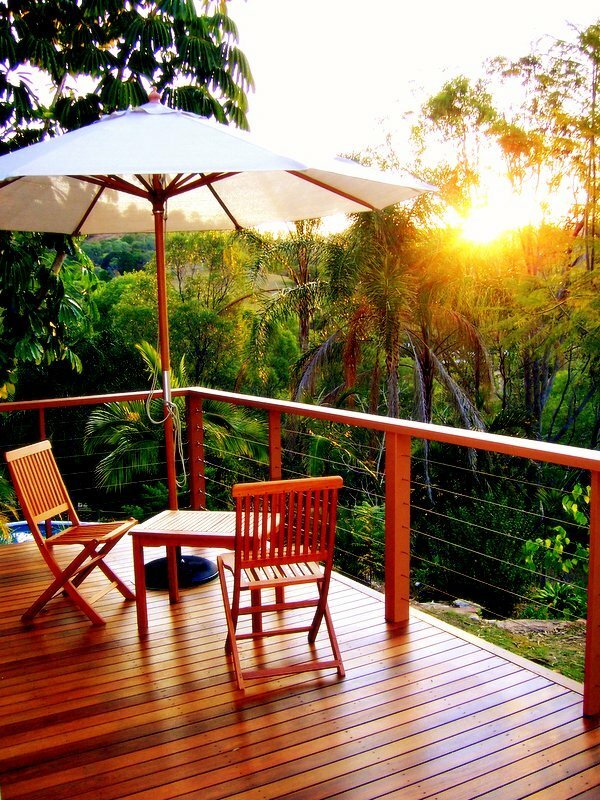 Softwood or treated pine decking is a great option if you’re looking for the most economical solution for your Brisbane deck. However, softwood and treated pine will wear quicker and need to be maintained more rigorously, so you should keep this in mind. If your Brisbane deck is likely to receive a lot of foot traffic – as well as plenty of tough treatment from furniture, kids and pets – hardwood may be your best option. While it will be more expensive initially, as the name suggests, hardwood is more durable and requires less maintenance. Popular hardwood choices include merbau and jarrah and these timbers will look fantastic when laid on your deck. No matter which timber you choose, protecting your new Brisbane deck is vital. Deck oil is a popular choice and is likely all you need to bring out the natural beauty of your decking timber, particularly if you’ve chosen hardwood. When you have your Brisbane deck designed and built by Outside Concepts, we can look after the finishing of your deck as part of the project. Plus, we can guide you on the best materials for your needs and even help you with any council plans. For more information on designing and building a beautiful and practical deck for your house, flat or unit, phone Outside Concepts on 1800 601 674 or see our website (Deck Brisbane).